I don’t like detours. Whether embarking on the 700-mile drive to my hometown or making every last dish fit into one load in the dishwasher, the fastest, most efficient is my route of choice every time. I bet you’ve noticed that God doesn’t always have you travel in the direction you’d choose for yourself. While I don’t know what you’re going through, I do know what it’s like to wish you were on a different path, to look at your life in frustration and wonder why it turned out so differently than you planned. Jesus has not left your side for one moment! When I find myself down a back road, a dead end . . . maybe even in a ditch, it doesn’t make sense and I often feel abandoned and lost. I look around and wonder where Jesus is. Do you ever feel lost, too? No matter what you’re feeling in those hard moments—abandonment, betrayal, anger, despair—remember this: Jesus has not left your side for one moment! This side step is not a mistake. Your Father knows the whereabouts of every fluttering sparrow (Luke 12:6–7), so rest assured that He has not lost sight of you. Throughout the Bible we find story after story of individuals whose lives take an unexpected turn from a human standpoint. But God isn’t taken by surprise. He has it under control every time. Joseph was sold into slavery by his own brothers, falsely accused by his master’s wife, and unjustly left in prison for several years. 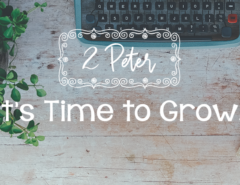 But later in life when his brothers sought his forgiveness, Joseph assured them that what they had meant for evil God intended for good (Gen. 50:15–21). Ruth’s life took a turn for the worse when she was left a young, childless widow in a foreign country, caring for her widowed mother-in-law. But what Ruth didn’t know was that out of the toil and sorrow there unfolded an unexpected story of love and grace. God orchestrated a plan to provide a husband for Ruth and, from her descendants, a future king for the nation of Israel (Ruth 4:13–17). 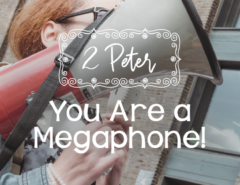 The disciples had big dreams of overthrowing the Romans and setting up a kingdom in Judea. All that came crashing down as they watched their beloved leader, Jesus, take His last breaths on a Roman cross. 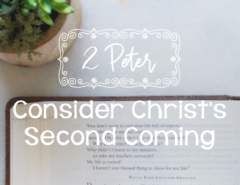 But even this devastating, unjust act was not a wrench in God’s plan—for it was His plan to send His Son to die for mankind and through it invite us into the kingdom of heaven. In these and other examples from Scripture we see God’s hand leading and guiding His children. He never leaves us alone, and He always acts out of love. Whatever we have gone through and still have ahead of us, God is with us. There’s a worship song by Matt Redman based on Lamentations 3:22–23 that calls us to look back and see all that God has lovingly done for us and how He has faithfully led us through it all. You and I can choose to trust God even while walking in a direction we don’t desire. It may be awhile before your current circumstances change. Perhaps they never will. But we cannot spend our days longing for a different path, wondering when we’ll be done with the “scenic route” and can head back in the “right” direction. You and I can choose to trust God even while walking in a direction we don’t desire. Are you on a lonely, seemingly-endless detour? Perhaps you’re weary from the strain, angered by the loss you’ve endured, or completely numb to it all out of self-preservation. Sweet girl, God is with you and God is faithful. He will never leave you on your own. We may not appreciate the detour God has us on right now, but we can trust that God will stick with us even if we can’t see the purpose in it. Thankfully God’s plan is better than our plan, and because He is perfect and good, we can trust Him. 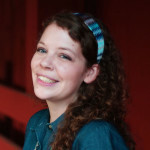 Leanna began serving on staff with Revive Our Hearts in the summer of 2014. Though originally from Arkansas and now residing in Michigan, her citizenship is in heaven, having been adopted as daughter of the King at age ten. She loves a cup of hot tea with a good book, experimenting in the kitchen with a new recipe, and cheering for the St. Louis Cardinals. Previous Article Psst . 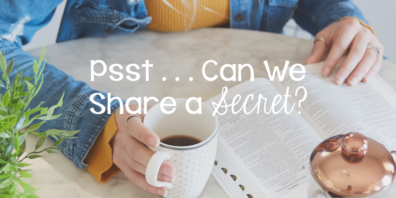 . . Can We Share a Secret? 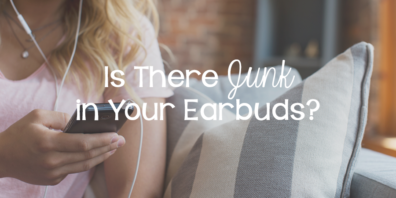 Next Article Is There Junk in Your Earbuds?